Light up your day with Oregon Scientific’s new weather station. See the base change colour to forecast the weather for the next 12-24 hours. 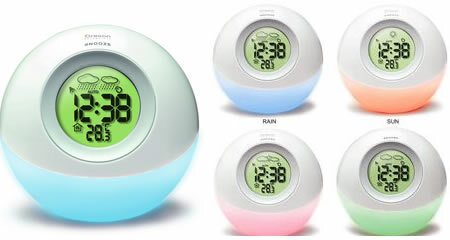 Dual band radio controlled clock, calendar with alarm with snooze and backlight.